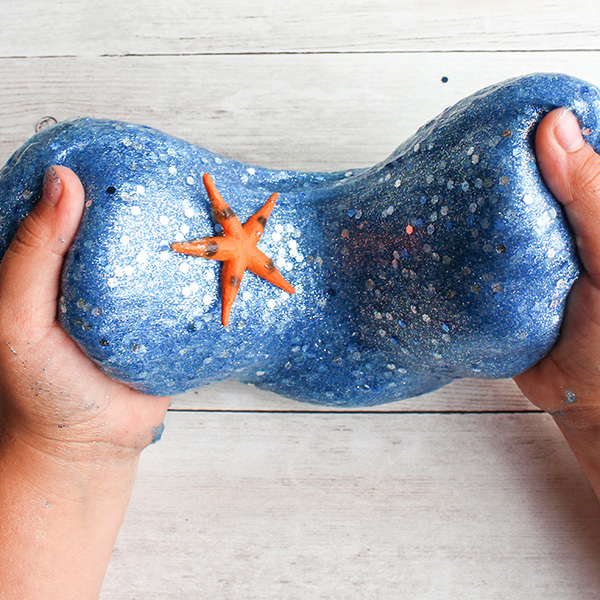 For all our slime fans, this ocean slime recipe inspires awesome imaginative play! 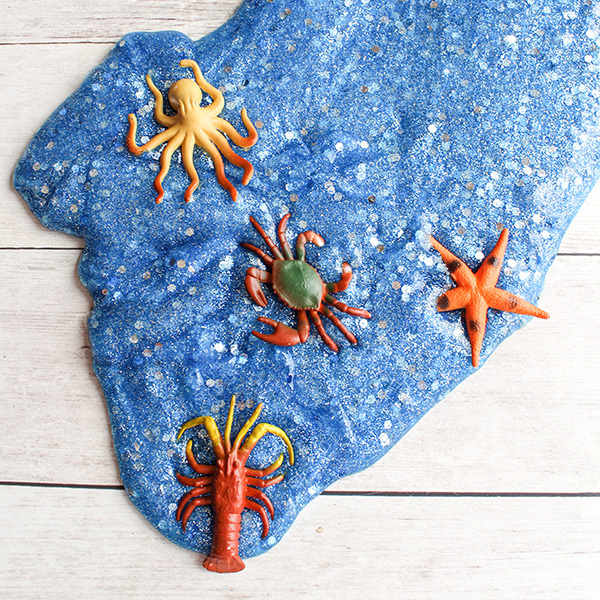 The combination of cool sea blue colouring, sparkling glitter and your favourite sea creatures is sure to engage your children as a gorgeous invitation to play. 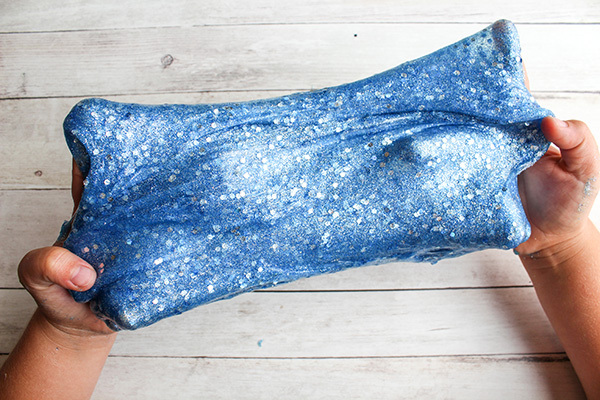 Liquid starch is not liquid laundry detergent. 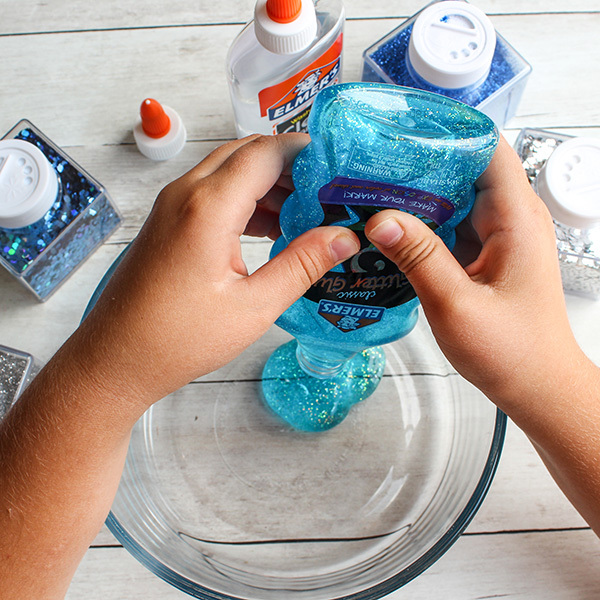 If liquid starch, such as Sta-Flo, is not available where you are, you might prefer this recipe with borax or you could try this great fluffy slime recipe. 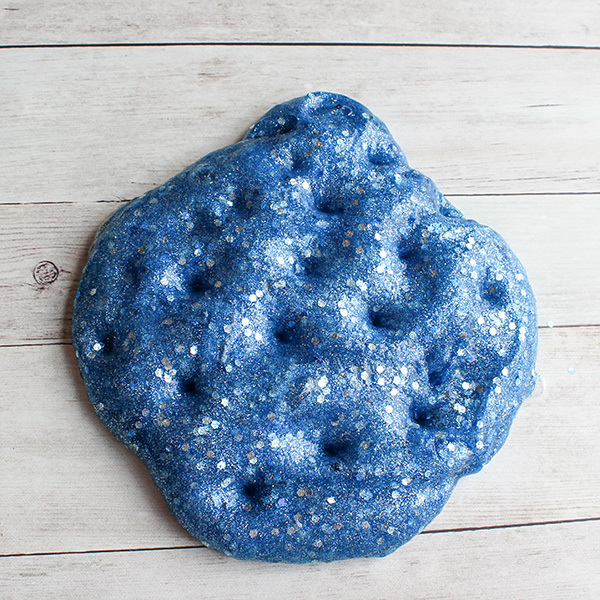 Different glues, starches and even the amount of colouring you use in your slime can effect the final outcome. 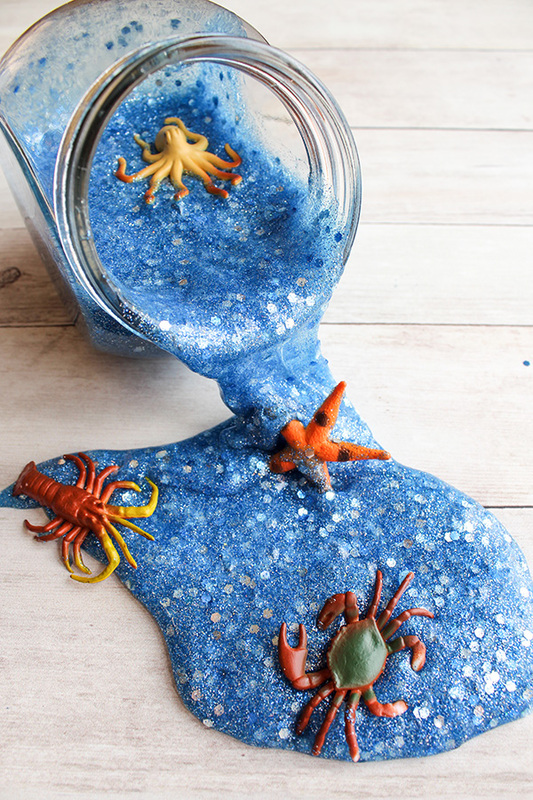 We prefer Elmers glue for best results with this recipe. 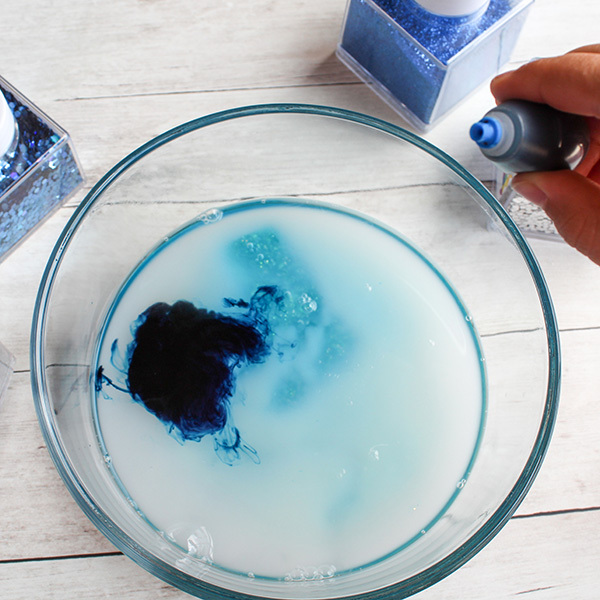 If your slime is too sticky, try adding a tiny bit more liquid starch. If it is too firm or hard, add a little more glue. 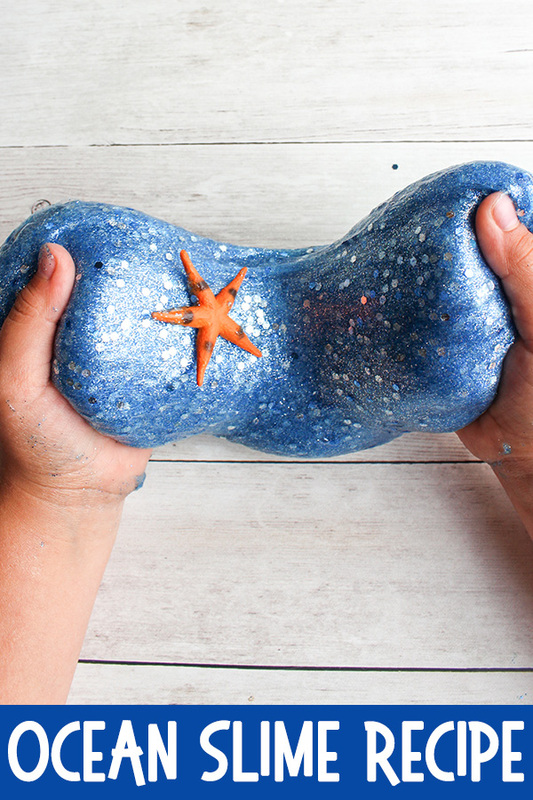 Slime that sticks slightly to your hands is more likely to have a nice stretchy, slime consistency. 1. 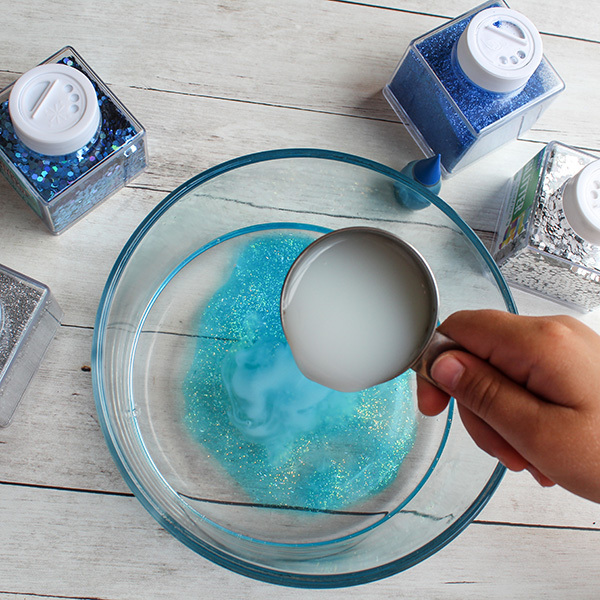 In a large bowl, combine both glues and the water and mix until well combined. 2. Add the half cup of liquid starch and mix. 3. 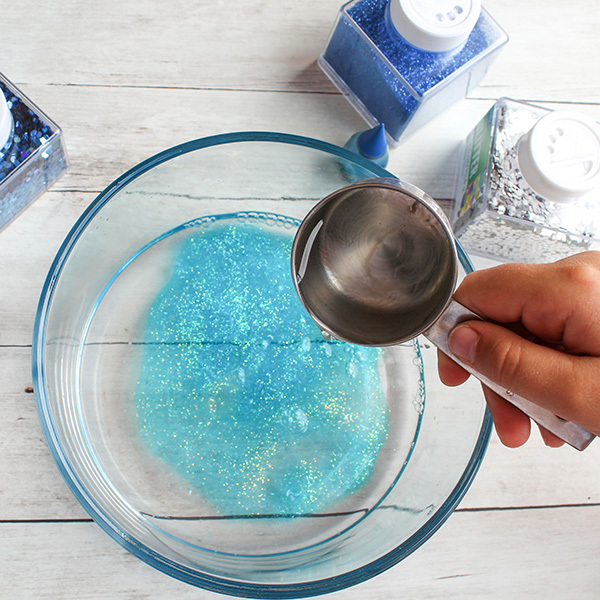 Add in your food coloring and glitter to desired level of sparkle! 4. Keep mixing until it’s no longer sticky. 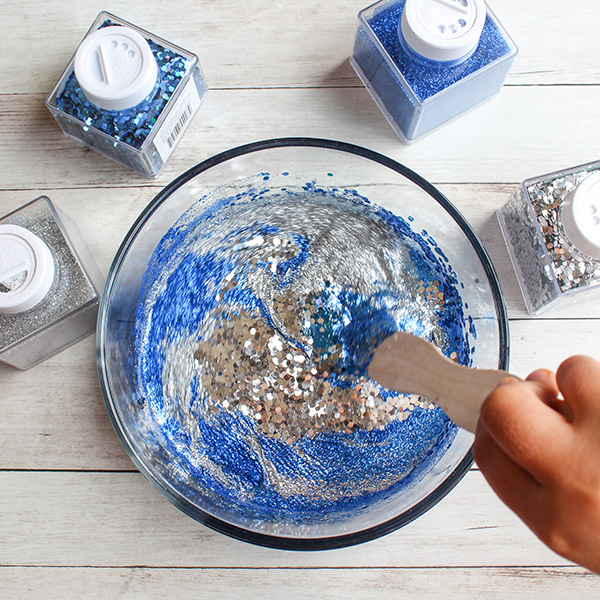 Use your hands to continue mixing. 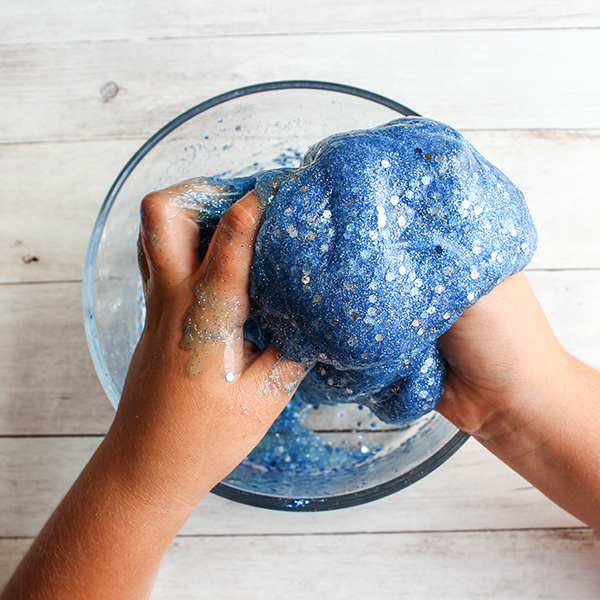 If your slime is too sticky, add a little more liquid starch. If it is too firm or hard, add a little more glue. 4. 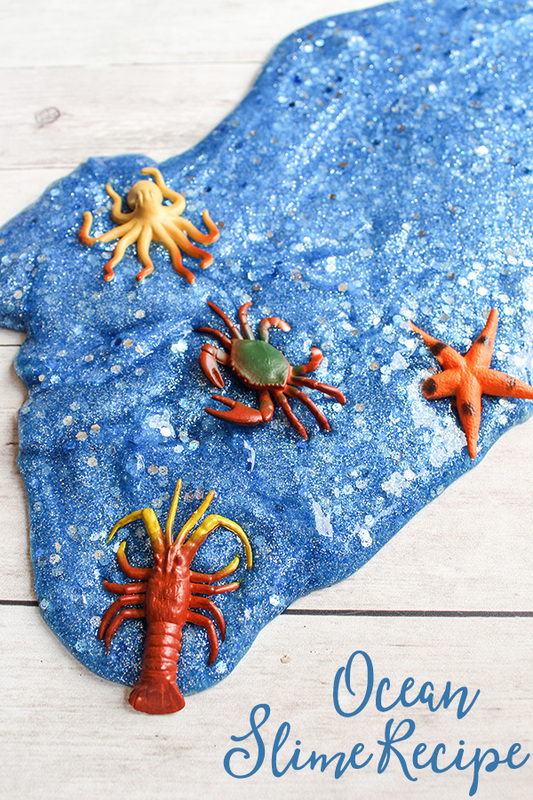 Add ocean animals for play. Your slime can then be stored in an air-tight container. 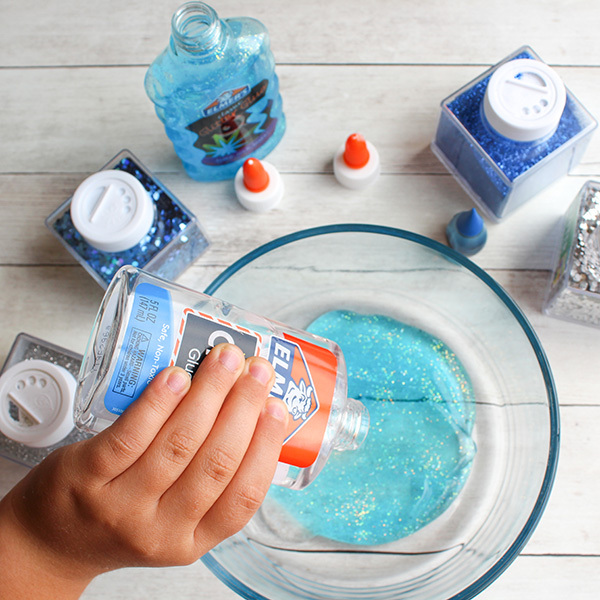 Why not try our floam slime recipe next! 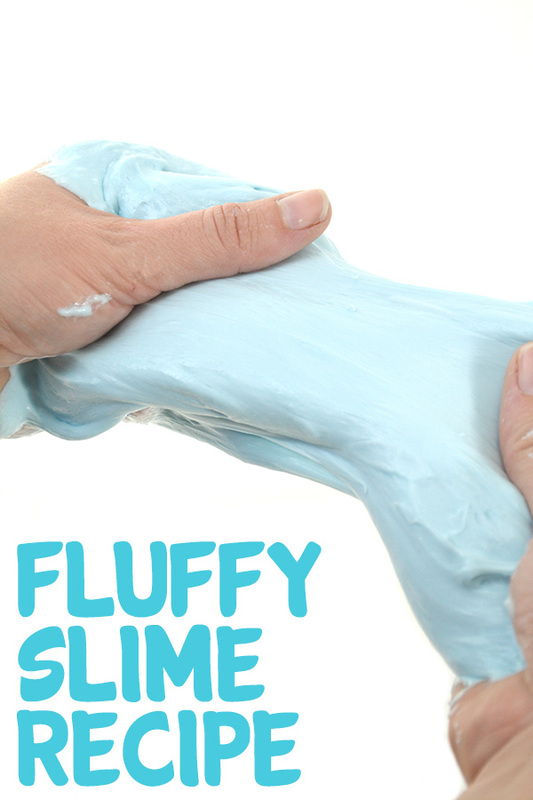 Or have fun with easy fluffy slime recipe!